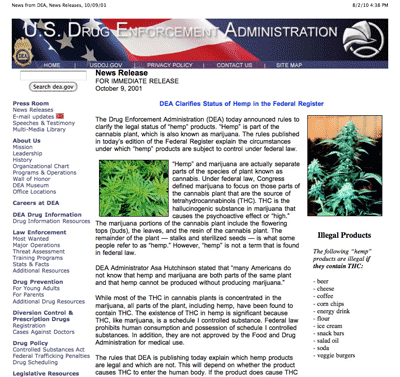 The Drug Enforcement Administration (DEA) published 3 rules in the Federal Register purporting to “clarify the status of hemp.” These ill conceived rules were an attempt to ban legal hemp foods. Vote Hemp board members David Bronner, Eric Steenstra and Patrick Goggin lead an effort to file a lawsuit and injunction against the DEA rules. For more info on the legal case, visit our Hemp Food Rules page.